Morocco World News (h/t Jim) The sexually frustrated ‘children’ and teenagers stayed at the Mechraa Belksiri Hospital for one week to receive rabies vaccinations after the animal transmitted the disease to them, explained Moroccan daily Al Akhbar in its August 10 edition. The incident has put the families of these fifteen young people into distress and horror, reports the daily. Local authorities have been alerted and search for find anyone else who has “approached” and “admired” the animal closely, in order to limit the risk of rabies spreading among the inhabitants of the region. The occurrence became the subject of mockery and ridicule among the population of the small town. The local authorities ordered the owner of the animal to slaughter it to avoid further risk of spreading the disease. This entry was posted in Discrimination, Don't We Boys, Immigration, Liberal Media, Obama's Muslim Faith, Psychopathic, Uncategorized on August 12, 2017 by tomurich. And the Real Fascists Are . . . . . Available now, Dinesh D’Souza’s new book The Big Lie exposes the Left’s biggest lie yet: their campaign to paint conservatives as Nazis to cover up their own fascism. Click here to order your signed copy today and receive a downloadable PDF of the explosive first chapter! This entry was posted in Ann Arbor, Capitalism, Don't We Boys, Happiness, Liberal Media, Politically Correct, Uncategorized and tagged And That's The Truth! !, Ann Arbor, Best Kept Secret, Common Sense Consulting, Dinesh D'Souza, Michigan, The Big Lie, Tom Urich, TuneUp Promotions on August 3, 2017 by tomurich. 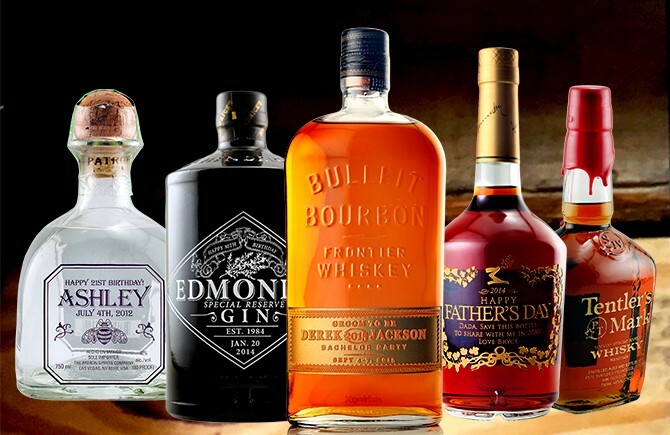 Tequila, gin, whiskey, or any other high-proof liquor will work with the new alcohol guidelines. Beer, served in larger quantities, also has the same alcoholism prevention effect. The National Institute of Health (NIH) announced on Friday that parents should give babies a shot of alcohol regularly, starting at 6 months or even earlier, as a way to help prevent later alcoholism. 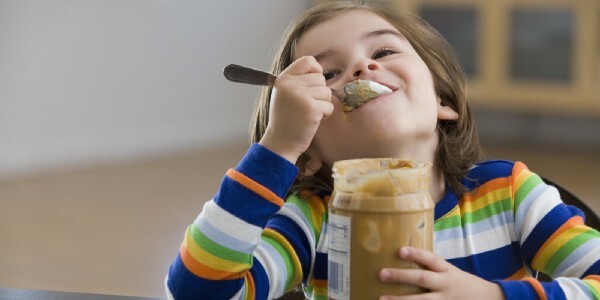 The recommendation comes on the heels of new guidance announced this week by the National Institute of Allergy and Infectious Diseases that children be fed foods containing peanuts to help avoid nut allergies as they grow older. 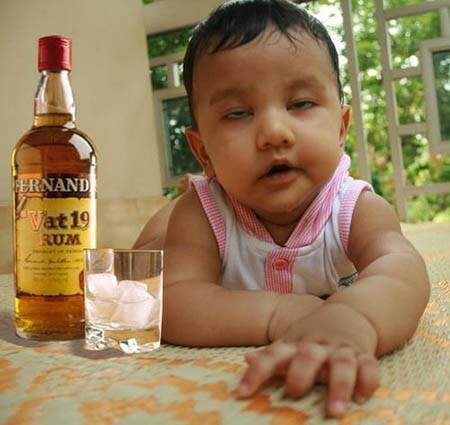 Dr. Banzer says one shot of hard liquor every other day for infants is plenty, and it does not have to be served on the rocks. The positive conclusions on preventing alcohol addiction follow equally hopeful research that involves giving children foods containing peanuts to avoid later nut allergies. Dr. Banzer said that a bigger threat may be parents joining their babies in doing a shot, “which could lead to irresponsible parenting.” But he added that a little impulse control should do the trick. The NIH is also experimenting with giving newborns one cigarette a week as a way to prevent nicotine addiction, but results from that study, while promising, are not yet conclusive. This entry was posted in Ann Arbor, Criminally Insane, CTA, Dogs are Better than Cats, Don't We Boys, Happiness, Healthcare, Positive Thinking, Promotions, Uncategorized and tagged Alcoholism, Ann Arbor, Common Sense Consulting, Michigan, Tom Urich, TuneUp Promotions on January 11, 2017 by tomurich. There are so many common sense thoughts returning to the fore and so much garbage political correctness BS going where it belongs. I have not been this HAPPY since…………..wait for it………….Bush. Egads! In less than 24 hours since Donald Trump has been named the President-elect of the greatest nation on this earth, it’s become apparent he’s being given far more credit than he’s due. There’s anguished cries of, ‘How will my children grow up knowing not to discriminate?’ or, ‘How can I look my daughter in the eye and tell her she has purpose?’ Really? Really, America? You have given Donald Trump, a mere mortal man, far more credit than he deserves, especially considering the man hasn’t even taken office yet. Trump does not have the power to mold our families, that is our flat-out our responsibility. This entry was posted in Ann Arbor, Brian Calley, Capitalism, Criminally Insane, Dogs are Better than Cats, Don't We Boys, Happiness, Healthcare, Hostility, Integrity, Liberal Media, LOVE WORKS - LOVE HEALS, Narcissistic Personality Disorder, No Hillary, Obama's Muslim Faith, Politically Correct, Positive Thinking, Promotions, Think with Google, Uncategorized and tagged @realTomUrich, And That's The Truth! !, Ann Arbor, Common Sense Consulting, Michigan, Tom Urich, TuneUp Promotions on November 12, 2016 by tomurich. How are you ever going to face those friends who called you nasty names and swore at you before we found out Hillary was a total fake? Frankly, I made sure to keep my head the whole time this election. It felt better. But it is over for Hillary now. The World can see, feel and taste it. She (Hillary Rodham) is a classic narcissist. I have experience there, so I know it all too well. It started with my Mother! Click the graphic for a link to this tweet. Meet #ClintonBodyDouble Teresa Barnwell who was hired by Hillary Rodham Clinton and the entire ‘globalist machine’ and gets paid over $10,000 per month for the gig. How does that make you feel? Breeds trust? Breeds Anger! Nobody likes to be a Sucker. Teresa Barnwell of Palm Desert, California. Two of the sorriest women in the world today. Will she push the envelope and lie again? Is she going to try and cover this up by saying it’s part of a right-wing conspiracy, too? This entry was posted in Ann Arbor, Criminally Insane, Don't We Boys, Hostility, Integrity, Liberal Media, Narcissistic Personality Disorder, No Hillary, Psychopathic, Think with Google, Uncategorized and tagged And That's The Truth! !, Clinton Body Double, Common Sense Consulting, Fake Hillary, Michigan, Tom Urich, TuneUp Promotions on September 12, 2016 by tomurich. Click the above graphic for a hyperlink to the ESPN video regarding the punter’s mistake after the Michigan-Michigan State football game on Oct. 17, 2015. Sad but true. I have already written a few pieces criticizing the use and abuse of social media (especially facebook) and a few Op-Eds about the psychological damage caused by it on the populace in general. It is as if you can spit in someone’e eye without any fear of retribution whatsoever. Almost a pseudo-attitude of pure narcissism. My intent in writing this blog piece is NOT to stir the pot or make back-handed criticism, rather, I hope that people might consider looking at themselves a little clearer. Sometimes we cannot see ourselves when we have strayed afar from our original personalities and it takes a “Friend” to jog a person back on track. Please scroll back and see the blog entries which I had begun using upon this same theme starting in April of this year 2015. Nothing particularly earth-shattering – except that to the people to whom it regards and consequently offends. This entry was posted in Criminally Insane, Discrimination, Dogs are Better than Cats, Don't We Boys, Hostility, Liberal Media, Narcissistic Personality Disorder, Psychopathic, Uncategorized and tagged And That's The Truth! !, Common Sense, Grand Rapids Pubs PR Promotions on October 18, 2015 by tomurich. Did you ever notice that simply making an accusation in the first place nearly completes the conviction? Worse Yet – These Same People are turning away from those they have literally condemned to skid row. This entry was posted in Criminally Insane, Dogs are Better than Cats, Don't We Boys, Dr. Seuss, Grand Rapids, Happiness, Hostility, Liberal Media, Narcissistic Personality Disorder, Uncategorized on August 6, 2015 by tomurich.